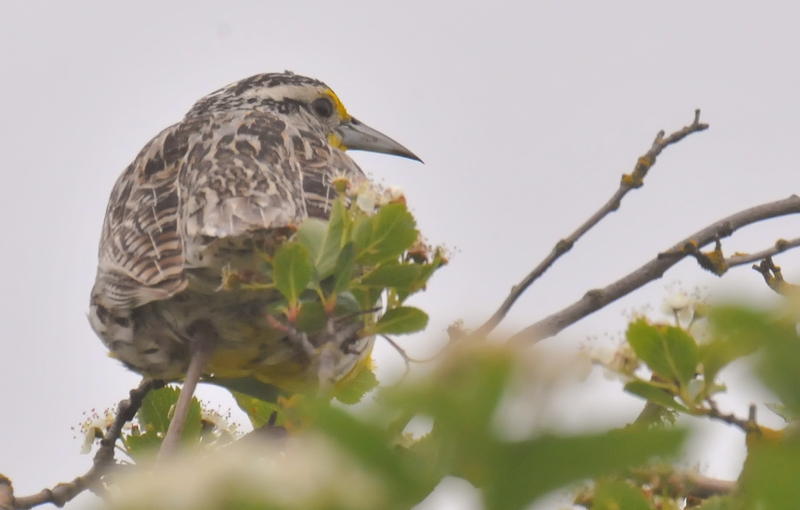 The back view of a Western Meadowlark at the top of a tree. 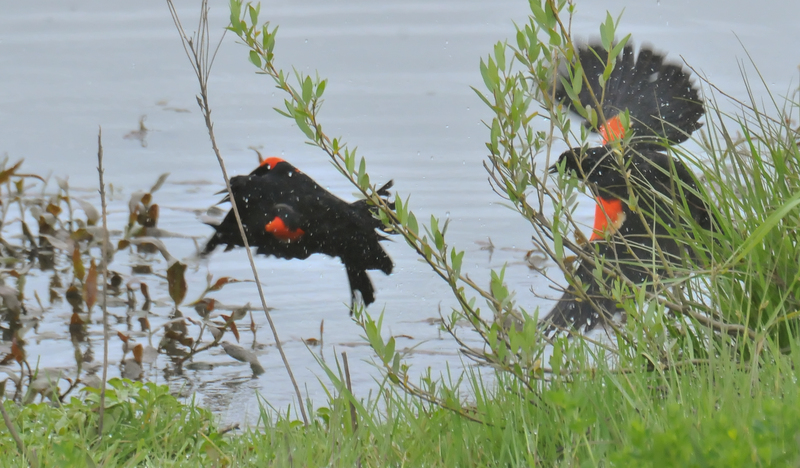 Two male Red-winged Blackbirds were fighting fiercely for dominance at the Checkermallow Access. I've never seen a scene like that, so vocal and physical. 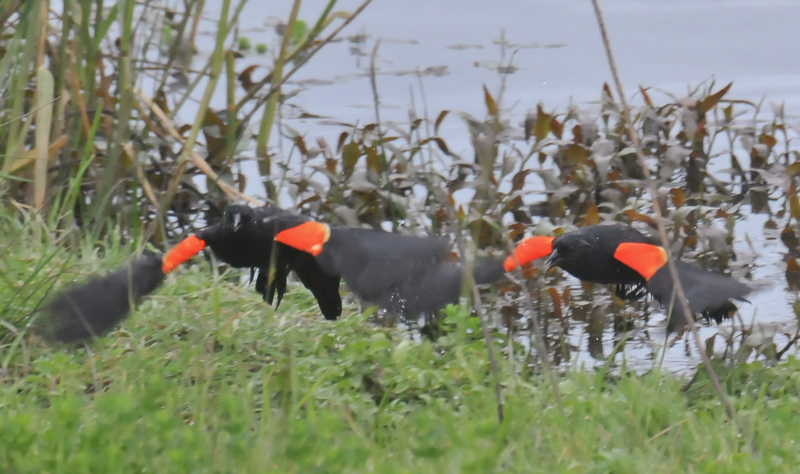 The victor chased away his rival after a fierce battle. 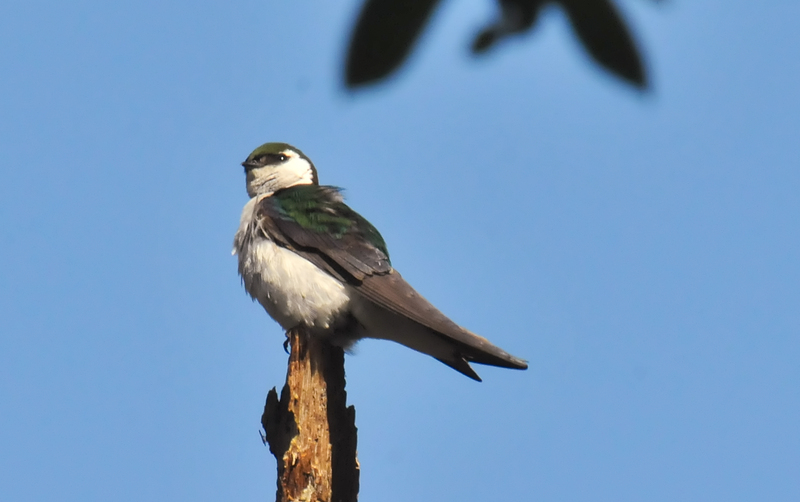 A Violet-green swallow perched at Pisgah. 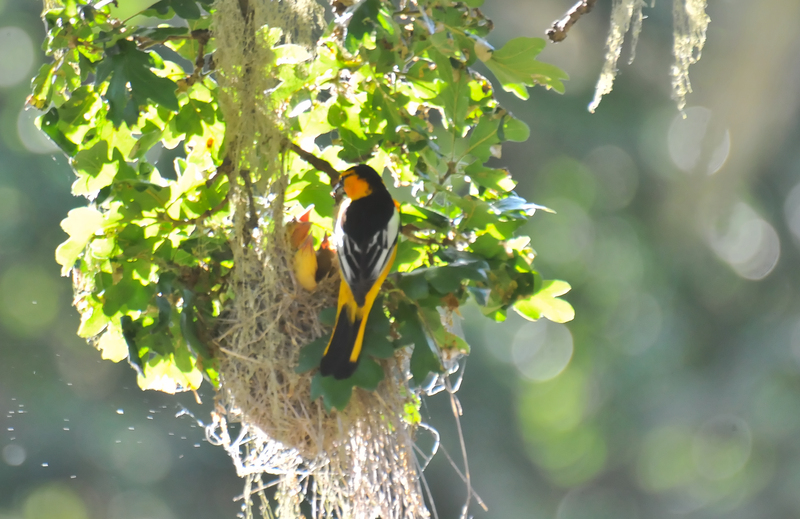 Male Bullock's Oriole feeding three babies in its hanging nest. 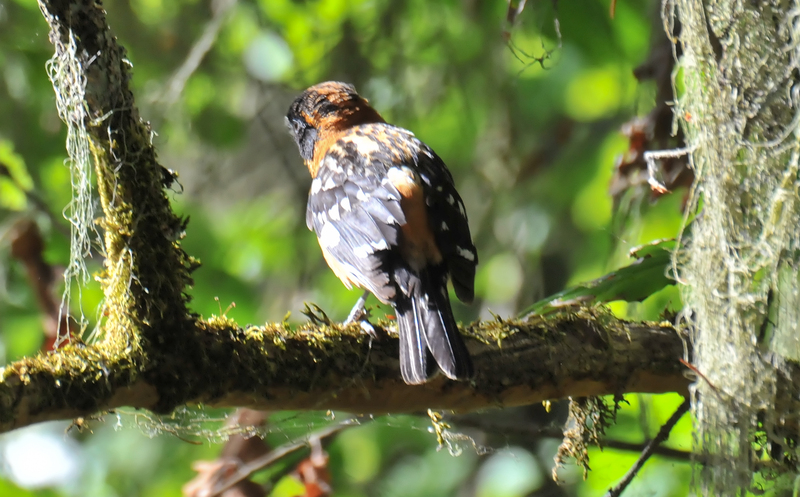 The back view of a Black-headed Grosbeak.